Our kids are always asking for a pet. There are two things they want. A dog, and a pet mouse. Although we have told them that one day we can get a dog, I have made it very very VERY clear that we will not EVER be getting a mouse. Call me unreasonable or even a bad mom, but unless pigs fly, there will never be an exception to this rule. No mice. I was nine months pregnant with our second child, and found myself getting up three of four times every night to go to the bathroom and get something to drink. I had lost all my mobility, I couldn't bend, sit, walk, or even move without major effort. One night I headed to the kitchen for a drink. I wanted lemon lime gatorade. I opened the fridge door and sensed movement out of the corner of my eye. I looked over just in time to see a mouse scurry into a cupboard by the sink. I wish I had my reaction on film. I would have won American's Funniest Home Videos for sure. Nine months preggo and somehow, I managed to leap across the kitchen and throw my body up on top of the kitchen table like an olympic athlete. I sat on the table for the next hour, trying to holler at my husband without waking our son up. He never heard me. I finally had the guts to get down and run-waddle back to the bedroom. We had a mouse trap set up the next day and within 48 hours had the mouse caught. My mom was kind enough to take it to the trash. I was not about to touch the thing. Rodents and pests in our house creep me out. When I was a kid I always wanted my dad or mom to kill the spiders or get the bugs. Now with kids, I have had to toughen up. When my husband is home, he comes to the rescue, but when he is gone and a child hollers that there is a spider, I am the one who has to come to the rescue. Although I am trying to train our son to take my place. When it comes to taking care of creepy crawlies, it is hard to know where to go for pest control help, or even what bugs we are fighting against. PestWorld.org has all the information you need to identify pests, prevent infestation and choose a pest control professional in your area. With the weather changing, pests start to head indoors. If you are like us, you are thinking about the need to hire a pest control company to spray for spiders before winter. There are a few things you should know/do before you hire a pest control professional. If you are looking for a pest control help, PestWorld.org is your perfect resource. You can even enter your area code and quickly find a professional in your area. Do you have a pest you need to identify? Want more information on Rodents? More information on Spiders or Ants? What about Stink Bugs or Bed Bugs? Would you let your kids have a pet mouse? Have you ever had to hire a pest control professional? Just found your blog from the Mormon Channel. I am very glad I respect all life and taught my children the same . . . we remove all bugs, including spiders, and place them outside. 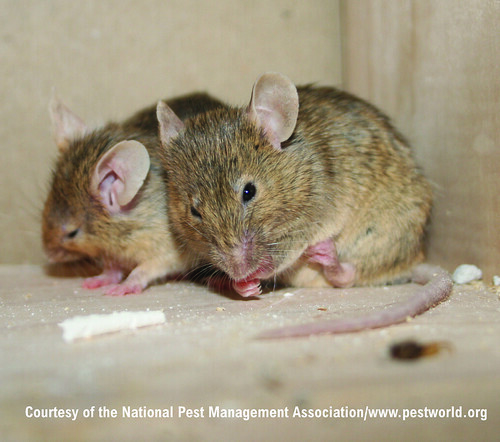 Poison free 'pest' control is an option. Insects are nasties? Mice are nasties? My home is certified by the National Wildlife Council, no chemicals . . . we have lizards, bird nests, squirrels, and bunnies. Oh what a beautliful life!